2GO “Give Me 5 for Kids” Appeal PJ Day. At 12.30pm there will be a cake and photo op in the canteen and buckets will be available to collect donations to the appeal. 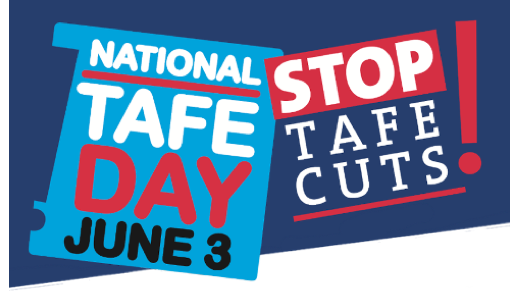 This is our opportunity to highlight the importance of TAFE and to rally local community support for our highly regarded, world-class TAFE system.